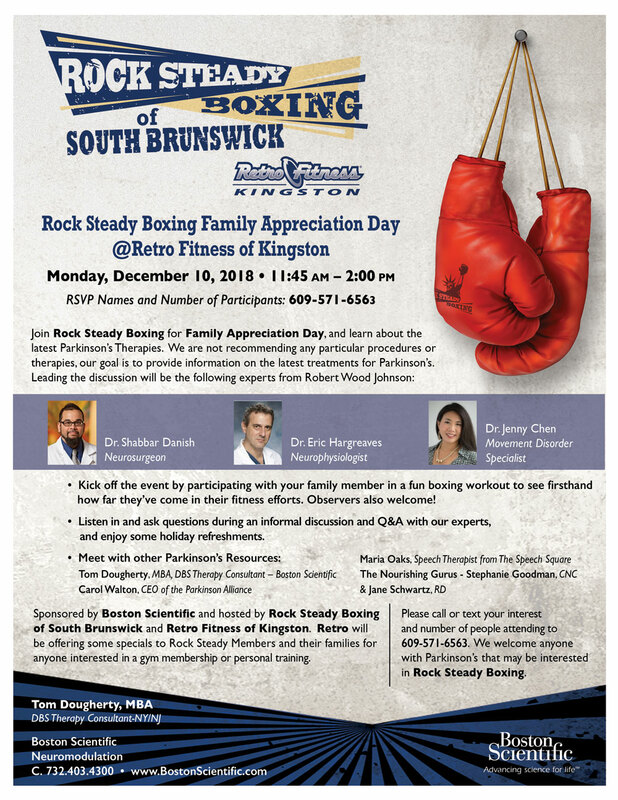 Rock Steady Boxing of South Brunswick will have a Family Appreciation Day on Monday, December 10, 2018, at 11:45 am to 2 pm, at the Retro Fitness of Kingston, in Kingston, NJ. The Parkinson Alliance will be there; please join us! Participate with a family member in a fun boxing workout, learn about the latest Parkinson’s therapies, and meet with Parkinson’s Resources.